Learn how massage therapy can offer relief to those who are suffering with neck pain! Most of us have suffered a stiff neck, and neck pain can last for days, weeks, months and even years. The fourth leading cause of disability in the United States, neck pain affects almost 30% of Americans. And, while about half of those cases of acute neck pain will resolve, almost 50% will have long term pain to some degree. Acute bouts of neck pain can be brought on by bending over a desk for long hours, poor standing posture, poor ergonomics (placement of computer monitor and keyboard), sleeping in awkward positions, twisting or turning the neck, sprains and strains, and jarring it in an accident or while exercising. Certain conditions also affect neck pain such as fibromyalgia, spinal stenosis (narrow spinal canal) or cervical arthritis. Car accidents may cause whiplash, which may take months – even years – to resolve and may in some cases lead to a permanent condition. Ruptured disks and vertebral fractures may also result in more serious cases of neck pain. Two conditions that have become extremely common are forward head posture and text-neck, both a result of too many hours looking at our computer and phone screens. Forward head is a condition where the head is forward on the spine, causing pain in the neck and down the arms. As a rule, for every inch the head moves forward from a neutral position, the pressure on the neck vertebrae and muscles increases by about 10 pounds. Strengthening the muscles that retract the neck such as the lower cervical extensors and upper cervical flexors along with stretching of the sternocleidomastoid, scalene muscles and splenius capitis will help to correct this forward posture, reducing pain in the neck and pain and numbness down the arms. The human head weighs about 10 to 12 pounds. When the head is in a neutral position, that weight can be supported by the neck muscles, but when the head is 30 degrees forward, the weight on those neck muscles increases to about 40 pounds. When the head is held forward 60 degrees, that weight increases to about 60 pounds pressure on the neck muscles. When we hold this position for any length of time, we create a repetitive use injury for our neck muscles, which is commonly called text-neck (often a result from using our phones too much). Tilting the head forward for as little as 2 to 4 hours per day has been shown to cause significant damage – even resulting in the need for spinal surgery. Forward head and text-neck are both conditions that cause significant muscular tension in the neck and shoulders, which can result in the development of trigger points. Trigger points in the upper back muscles typically result in neck pain, while trigger points in the neck usually result in headaches. When treating a client with forward head position or text neck, the first step is to relax and lengthen the muscles that are involved in pulling the head forward. In order for the neck to move back into a neutral position, the shoulders must be back in a neutral position and not rounded forward. Working the pectoralis muscles to release and lengthen muscle fibers while stretching the muscle allows the shoulders to move back. Similarly, stretching and lengthening the sternocleidomastoid (SCM) and scalene muscles allows the head to return to a neutral position. Once the head is able to return to a more neutral posture, we can address tight muscle fibers and trigger points in the trapezius and levator scapula, both of which commonly result in neck pain. Splenius capitis and semispinalis capitis may also house trigger points and have no doubt been overstretched, and are most likely in need of attention. When working in pectoralis muscles and upper back, using deep friction and effleurage strokes creates a flushing of the muscle, bringing in fresh blood flow and with it fresh oxygenation that releases trigger points and benefits the muscle in relaxing and lengthening. Working in the neck, however, requires a more gentle touch. When working in the neck, it is imperative that pressure be added slowly in order to allow the client and the therapist time to react. It is also imperative that the therapist review the anatomy of delicate cervical structures, including vertebrae, veins and nerves so as not to apply pressure that will cause unnecessary pain or cause damage. In fact, one modality of massage that has been shown to greatly reduce neck pain in clients is craniosacral therapy. Designed with the idea that the cranium (skull), spinal cord (vertebrae), and sacrum are all connected and related, cranial sacral offers a gentle approach to working the head, neck, spine and lumbar areas. Using about 5 grams of pressure (the weight of a nickel), practitioners release muscle restrictions and allow for an unwinding, or a release of muscle tension in the areas being treated. Even the moderate effleurage of Swedish massage has been shown to reduce overall muscle tension, lengthen muscle fibers and increase blood flow and function to muscle, reducing pain overall. Massage has been demonstrated to be helpful when neck pain is the result of muscular problems. Studies have shown that more frequent massage is most beneficial: one-hour sessions, 2-3 times per week work best to restore both function and reduce muscle pain, especially during the first 4-6 weeks. Overall, massage therapy has much to offer those who are suffering with neck pain. A practitioner who knows the precautions and anatomy, is comfortable with the techniques, and understands the functional aspects of neck movement and muscle can offer real relief to many clients who are suffering from acute and even long term neck pain. Cohen, S. (2015). Epidemiology, diagnosis, and treatment of Neck Pain. Mayo Clinic Proceedings. 90(2): 284-299. Retrieved on 5/29/16 from http://www.mayoclinicproceedings.org/article/S0025-6196%2814%2900833-7/abstract. Cummings, S. (1994). Trigger points: Understanding myofascial pain and discomfort. Skokie, IL: Anatomical Chart Company. 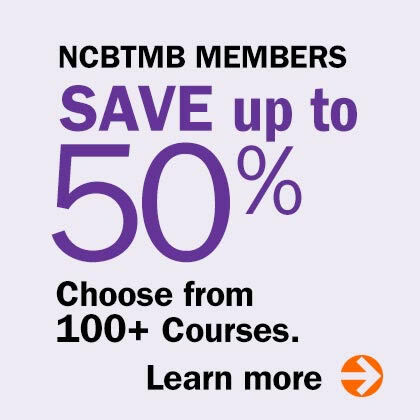 Davies, NCTMB, C., & Davies, CMTPT, LMT, A. (2013). The trigger point therapy workbook. (Third ed.). Oakland, CA: New Harbinger Publications, Inc.
Doheny, K. (2014). Timing is key to massage’s benefits for neck pain. WebMD. Retrieved on 5/27/16 from http://www.webmd.com/pain-management/news/20140314/timing-is-key-to-massages-benefits-for-neck-pain-study. Medline Plus. (2016). Neck pain. U.S. National Library of Medicine. Retrieved on 5/27/16 from https://www.nlm.nih.gov/medlineplus/ency/article/003025.htm. National Institute of Health. (2015). NINDS Migraine Information Page. National Institute of Neurological Disorders and Stroke. Retrieved on 6/18/15 from http://www.ninds.nih.gov/disorders/migraine/migraine.htm. NIH. (2016). Study finds benefits of therapeutic massage for chronic neck pain. National Center for Complementary and Integrative Health. Retrieved on 5/27/16 from https://nccih.nih.gov/research/results/spotlight/051809.htm. Sherman K.J. ; Cherkin D.C.; Hawkes R.J.; et al. (2009). Randomized trial of therapeutic massage for chronic neck pain. Clinical Journal of Pain. 25(3):233–238. Retrieved on 5/27/16 from http://www.ncbi.nlm.nih.gov/pmc/articles/PMC2664516/pdf/nihms76341.pdf. Upledger Institute. (2016). 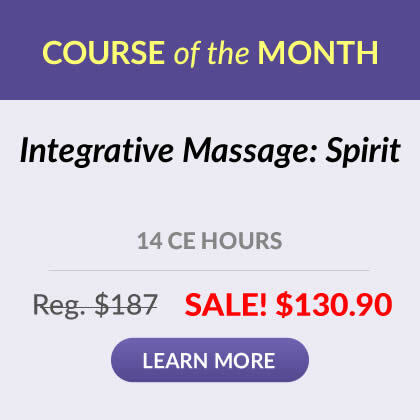 Discover cranial sacral therapy. Upledger Institute. Retrieved on 5/29/16 from http://www.upledger.com/therapies/index.php. U.S. National Library of Medicine. (2015). Migraine. MedlinePlus.com. Retrieved on 6/18/15 from http://www.nlm.nih.gov/medlineplus/migraine.html.